The entire world is filled with romantic atmosphere. CityOn has prepared a lot for your loving gifts selection. The latest Paris Love Song of the Beating Love Collection has come. More Benefits is waiting for you. Weight priced Gold: processing charges 50% off or RMB 10 off for every gram. You can’t give her beauty, but you can give her Glamourfage. Valentine's Day Special Bouquet is available for booking. You can select and arrange a bouquet by yourself. On Valentine's Day, you could get a rose for free when buy 2 bottles of drinking. One Consumption reaches RMB300 could get RMB50 bounty which should be used in limited time. Popular toys will have 40% off! 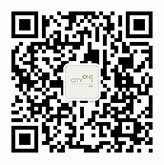 No matter you have Valentine's Day in plan or not, you could have a happy weekends in CityOn!